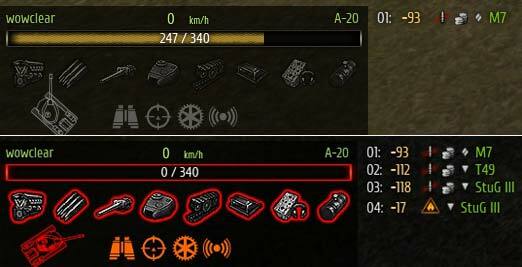 The standard version of the damage panel has to be fed. If you want to replace it then this option is for you. Many players prefer minimalism – such a mod today we represent. The panel, which looks beautiful and convenient to not display. But also you will know about damage log, you’ll know about the type of projectile, which caused damage to you, the name of the tank, the degree of damage, fire, etc. If you wish to install more minimalistic version of the damage panel – we offer the most minimalist options on our website. Copy the folder in 0.9.17.0.1 WOT / res_mods /.